Storm is known for its scented bowling balls. Now complement those bowling balls with the scented grip bag by Storm! This grip bag has a mixture of conditions and rosin the will help absorb any moisture on your hands giving you a more consistent grip on the ball. The low residue bag comes with a handy storage bag and a calming vanilla fragrance. Speedy and fast and got what I ordered what more could I want? Well done Storm!! The fragrance in the bag is nice but it is actually too well constructed. The bag is unusually stiff and doesn't really feel like a rosin bag. Wierd feel...not sure that it does a good job of reducing moisture from the hand/fingers. Bought 3 of them and the blue version is larger and even more stiff. 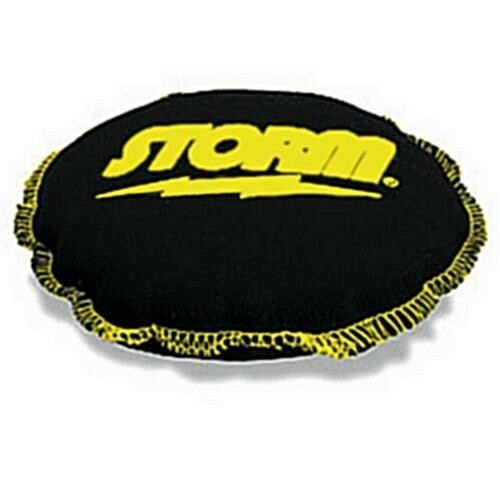 Due to the time it takes to produce the Storm Scented Grip Bags ball it will ship in immediately. We cannot ship this ball outside the United States.